Did Safaree and Chanel manage to continue with their video shoot? 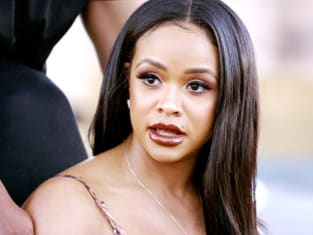 That was a key question on Love & Hip Hop: Hollywood Season 4 Episode 5 when mayhem erupted between people who showed up at the filming location. Meanwhile, Misster Ray attempted to play nice with Masika, but it resulted in him going head-to-head with Zell. Also, Teairra heard about Cisco speaking with Moniece and Nia about her issues and lashed out at all three of them. Use the video above to watch Love & Hip Hop: Hollywood online to get up to speed with the latest drama.